SM30 Series: Receiver – Frequency A Stainless Stl. Range: 150 m; Input: 12 to 240V ac. Output: SPST Solid-state – Light Operate. 2 m (6.5 ft) cable. SM30 Series: Receiver – Frequency B Stainless Stl. Range: 150 m; Input: 12 to 240V ac. Output: SPST Solid-state – Light Operate. 2 m (6.5 ft) cable. SM30 Series: Receiver – Frequency C Stainless Stl. Range: 150 m; Input: 12 to 240V ac. Output: SPST Solid-state – Light Operate. 2 m (6.5 ft) cable. 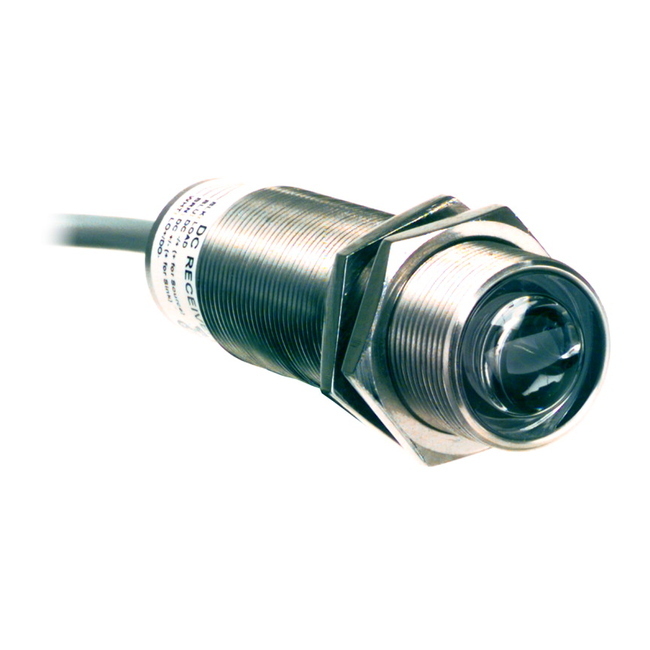 SM30 Series: Receiver – Frequency A Stainless Stl. Range: 150 m; Input: 12 to 240V ac. Output: SPST Solid-state – Dark Operate. 2 m (6.5 ft) cable. SM30 Series: Receiver – Frequency B Stainless Stl. Range: 150 m; Input: 12 to 240V ac. Output: SPST Solid-state – Dark Operate. 2 m (6.5 ft) cable. SM30 Series: Receiver – Frequency C Stainless Stl. Range: 150 m; Input: 12 to 240V ac. Output: SPST Solid-state – Dark Operate. 2 m (6.5 ft) cable. SM30 Series: Receiver – Frequency A Stainless Stl. Range: 150 m; Input: 12 to 240V ac. Output: SPST Solid-state – Dark Operate. Quick-Disconnect Connector. SM30 Series: Receiver – Frequency B Stainless Stl. Range: 150 m; Input: 12 to 240V ac. Output: SPST Solid-state – Dark Operate. Quick-Disconnect Connector. SM30 Series: Receiver – Frequency C Stainless Stl. Range: 150 m; Input: 12 to 240V ac. Output: SPST Solid-state – Dark Operate. Quick-Disconnect Connector. SM30 Series: Receiver – Frequency A Stainless Stl. Range: 150 m; Input: 12 to 240V ac. Output: SPST Solid-state – Light Operate. Quick-Disconnect Connector.